Bulldogs need stability after two straight years of coaching turnovers. HUNTSVILLE, Ala. – Dylan Howard has been elevated to the interim head coach of the Alabama A&M men’s basketball program for the 2018-19 season, Director of Athletics Bryan Hicks announced Thursday. “I would like to thank President Dr. Hugine Jr. and Director of Athletics, Mr. Bryan Hicks, for naming me interim head men’s basketball coach at Alabama A&M,” said Howard. 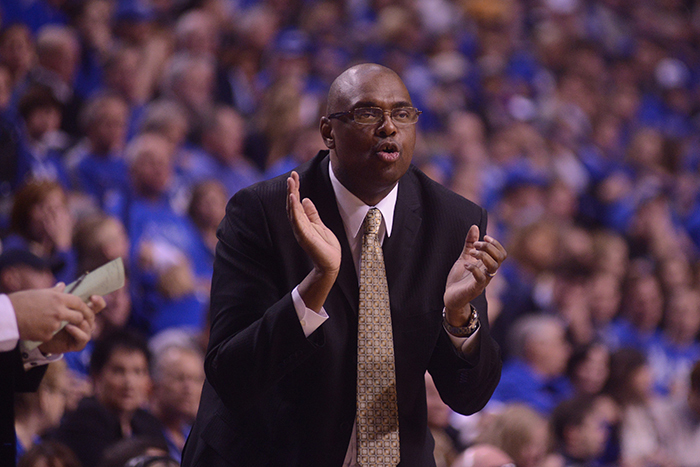 Howard spent the last year as the associate head coach on the men’s basketball staff. He has been integral in the recruitment for the Bulldogs and the development of the big man for the program. Prior to AAMU, Howard spent five seasons as the associate head men’s basketball coach at Morehead State. The team finished second in the Ohio Valley Conference with a 10-6 conference mark. In Coach Howard’s five seasons at Morehead State, the Eagles won 89 games. He helped lead the Eagles to a 23-14 overall record and 11-5 Ohio Valley Conference mark in 2015-16, along with a second-place finish in the 2016 College Basketball Invitational. Howard was the top assistant at Mississippi Valley State from 2008-11. He assisted in putting together two top-50 recruiting classes in three seasons at MVSU. Coach Howard recruited five All-SWAC players, including 2012 MVP Paul Crosby and SWAC Tournament MVP Cor-J Cox. Prior to MVSU, Howard had a seven-year run (2001-08) as the head coach at Division III Hardin-Simmons in Abilene, Texas. He was named American Southwest Conference Coach of the Year in 2005 after guiding the Cowboys to their first-ever league tournament appearance.